Native to South Africa, the bird of paradise flower, also known as the crane flower, is a tropical plant that bears bird-like and very vivid flowers at the top of very sturdy stalks. These plants have been known to grow more than 5 feet. Birds of paradise are easy to grow and do not often bring many problems as they are very resilient plants; however, they do require a warm and humid climate. 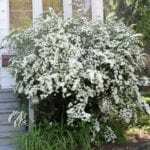 If this plant is being grown in a cold climate, it can be stored in a container and brought indoors for the duration of the winter. They may also need to be deadheaded. What Does Deadheading Bird of Paradise Flowers Mean? Deadheading bird of paradise flowers simply refers to removing bird of paradise blooms that are dead. These dead blooms are often referred to as spent blooms and are dead, wilting blooms that are generally brown in color. This encourages new and bigger blooms, not to mention the fact that this process keeps the plant visually appealing. If you are going to grow bird of paradise flowers, then you must know how to deadhead them. Start with the basics and make sure you have a solid pair of gardening gloves and a sharp pair of pruning shears ready to go. The stalks can be as wide as 6 inches, so you’ll need a good grip. You will want to cut the spent bloom, which lacks the typical orange and blue colors, at the flower’s base. You also want to cut the stalk to which the bloom was attached so long as there is not another flower already developing on that very same stalk. Get as close as possible to the base when cutting the stalk. Don’t forget to make sure to remove stems, leaves and other dead foliage. 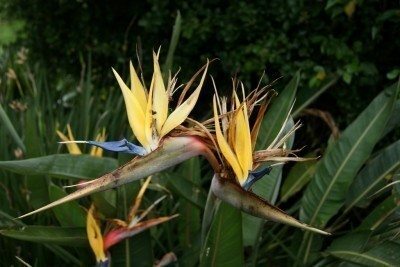 Why Should I Deadhead Bird of Paradise Flowers? 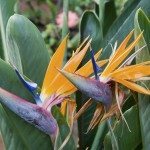 According to the University of Hawaii, failure to properly deadhead bird of paradise flowers can result in a shrub that is completely covered in dead organic matter. Fungal infections and disease are also common when the bloom and its leaves and its stalk are not cut back. Further, if you do not take the time to deadhead bird of paradise flowers, you are directly harming the aesthetics of the plant. After all, who wants to see a dead, brown bloom when they can see a brightly colored flower full of life and energy?